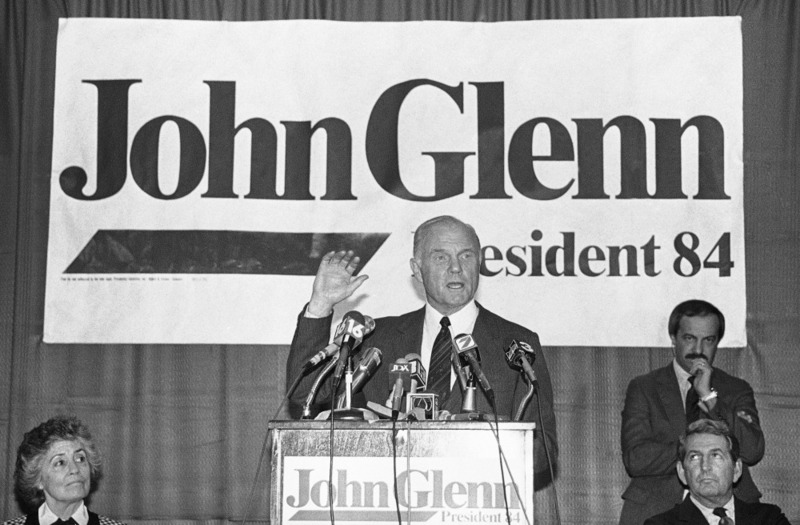 After becoming the first American to orbit earth, Glenn came to Maine several times while running for president. 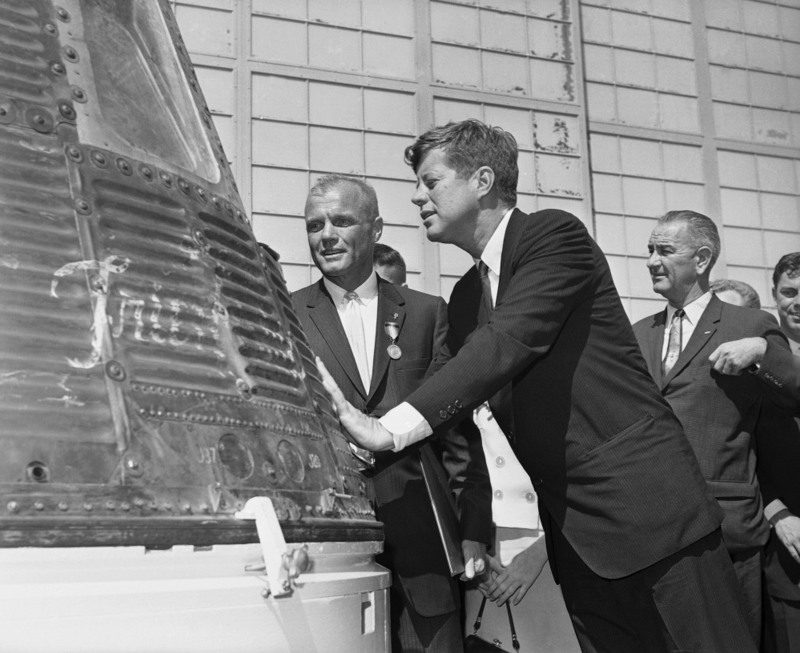 The first time John Glenn made an impression on Patrick Paradis was in February 1962, when Glenn rode into outer space atop a rocket and circled Earth three times in his space capsule, becoming the first American to orbit the planet. Paradis was 8 years old then, on vacation from school and following the mission on television. 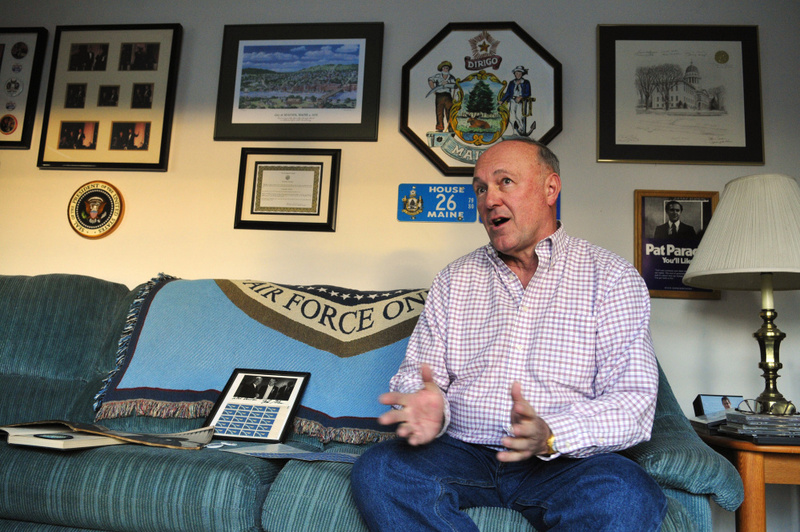 More than two decades later, Paradis was in his early 30s and representing part of Augusta at the State House when acquaintances asked if he could show Glenn around central Maine as he campaigned to become the Democratic nominee for president. 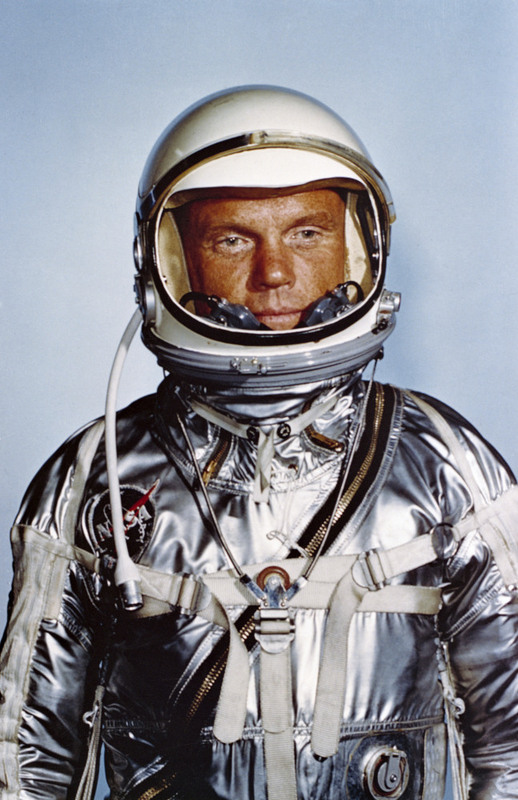 Though Glenn was widely recognized as a national icon by that point — he had given new hope to the U.S. in its space race against the Soviet Union — he never showed it, his young handler recalled. Paradis was one of at least two Mainers to remember his encounters with Glenn on Friday, a day after the former astronaut died at the age of 95. In his Northern Avenue home, Paradis showed a few of the artifacts he has acquired over the years that hint at his admiration for the spaceman turned politician. 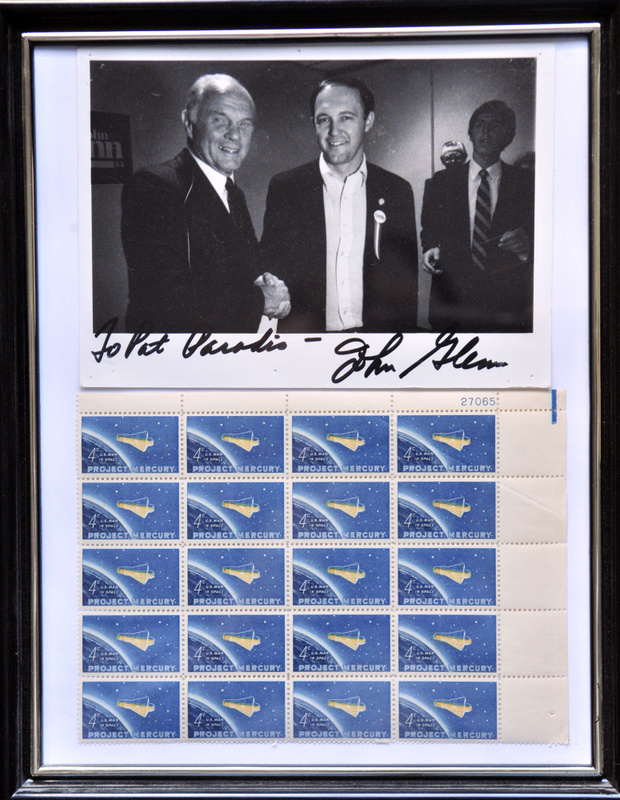 There are commemorative stamps Paradis purchased for $2 days after Glenn’s orbit. There is the Life magazine issue about Glenn that came out around the same time, and that Paradis purchased just two weeks ago while browsing at a flea market in Brunswick. 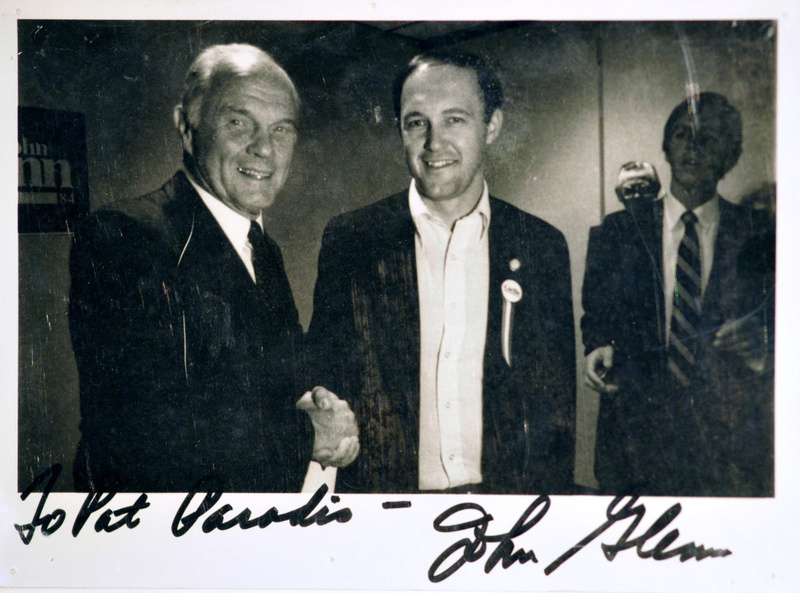 There are pins from Glenn’s 1984 presidential campaign and a framed photo of him and Paradis together in Augusta. When Glenn decided to run for president, mutual acquaintances introduced him to Paradis, who was active in politics and is now an outgoing city councilor in Augusta. During Glenn’s half-dozen campaign stops in Maine, Paradis said, he took him to rallies, restaurants, meetings with senior citizens, gatherings of state lawmakers. Walter Mondale ended up receiving the Democratic nomination that year and losing to incumbent Republican President Ronald Reagan, but Paradis said he was proud to support Glenn, whose moderate political views and ability to reach across the aisle he thinks are lacking in today’s political climate. Another Maine man described Glenn in similar terms on Friday. Peter Dixon, a 76-year-old pilot and teacher who recently retired in Cape Elizabeth, said he met Glenn while serving as the engineer on a flight from New York City to Amsterdam. Dixon was performing pre-flight checks when he heard a man ask if he could enter the cockpit. Dixon agreed, then noticed the visitor’s identity. Dixon, like Paradis, also had supported Glenn during his presidential bid, and his sister had even worked on Glenn’s campaign.